There so much to do in Chelmsford and the modern spacious Riverside Campus is the pride of ARU. Why not go and watch the Chelmford Chieftans ice hockey team, get tickets for V Festival at Hylands Park or take advantage of the great transport links to London for exciting days out! On campus services provided by the Union include access to an array of volunteering opportunities, a free and confidential Advice Service independent to the university, plus loads of evening and day-time events and societies you can sign up to. Come and find us in Chelmsford on the 1st floor of the Tindal building. And it doesn't stop there. Our on campus venue, 92, serves some fantastic food and drinks! 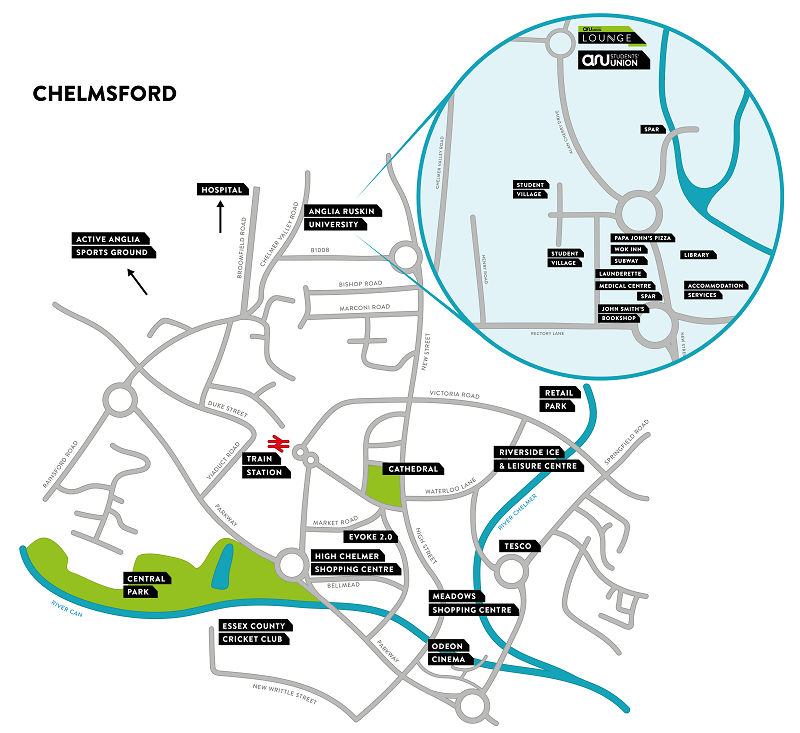 Click here to download our full size map of Chelmsford with all the best places on. Park & Ride - Many students travel into the city on one of two Park & Ride bus services, serving the Town Centre, Chelmer Valley and Sandon. Find out which one is best for you here. Trains - The train station is a 10 minute walk from campus. Essex has a good rail network, with most services operated by either Greater Anglia or C2C. Some areas of west Essex also have London underground stations. Tesco - Springfield Road Superstore - we run regular SUpermarket buses here, check our calendar for dates. Westfield Stratford London - Only 25 minutes away by train. Lakeside Shopping Centre - We run Give it a Go trips to Lakeside, take a peek. You can fish, play football, cricket, netball, and even golf in some of these parks. Hylands Park - This is where V Festival takes place! Chelmsford is a city! 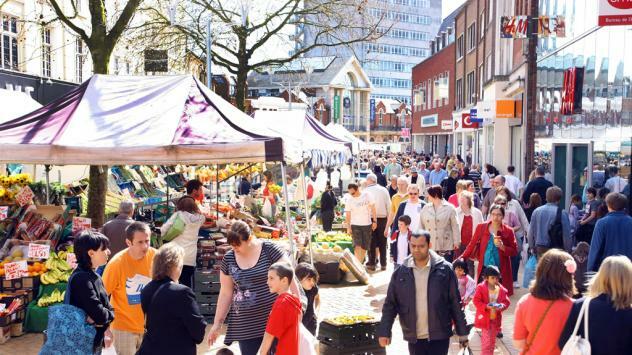 The decision to award Chelmsford a city status was announced by the Queen on 13th March 2013, making Chelmsford one of the UK’s newest cities. It is the birthplace of radio after Marconi opened the world's first wireless factory in the town in 1899. It has the second smallest cathedral in England. Chelmsford hosts V Festival which sees thousands of people pour into the city and Hylands Park for a weekend of music and sunshine! Harry Judd from McFly was born here.